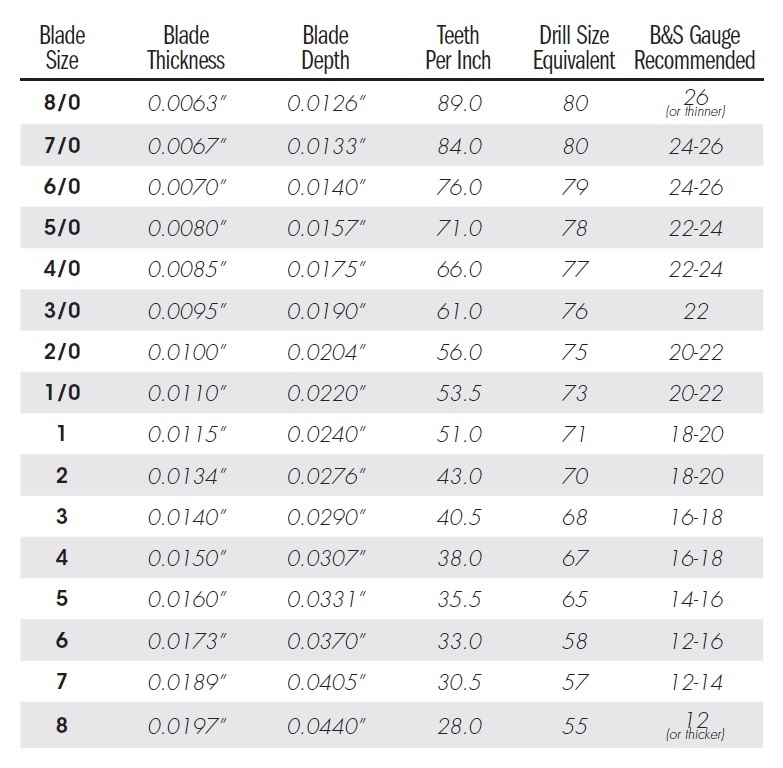 Jewelers Saw Blade Chart | QTE North America, Inc. | QTE North America, Inc.
Click on the picture for a full-sized version you can read and print out. Not for spiral saw blades. Those are round, and the dimensions are noted in each description.